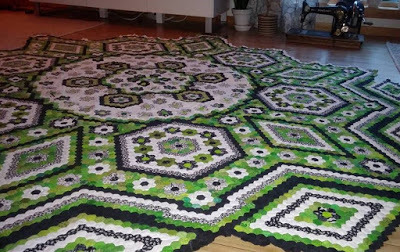 Den Syenede Himmel - shared her incredible hexie quilt she is working on! This is just stunning and I can't wait to see it finished! Be sure to stop by her blog for all the details! 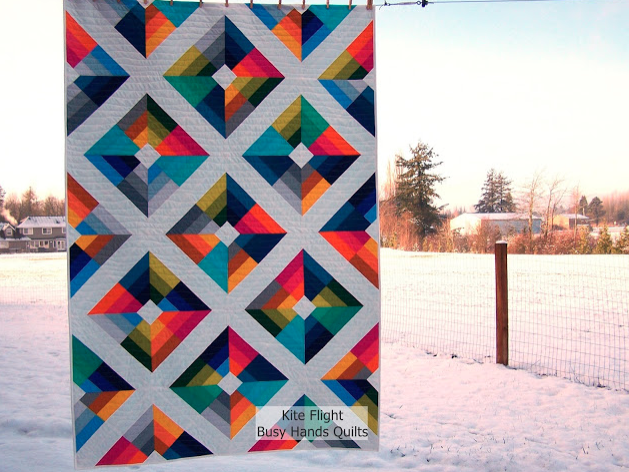 Busy Hands Quilts shared her latest finish - Kite Flight! Love how it turned out! I really love the pattern on this one! Stop by her blog for all the details! 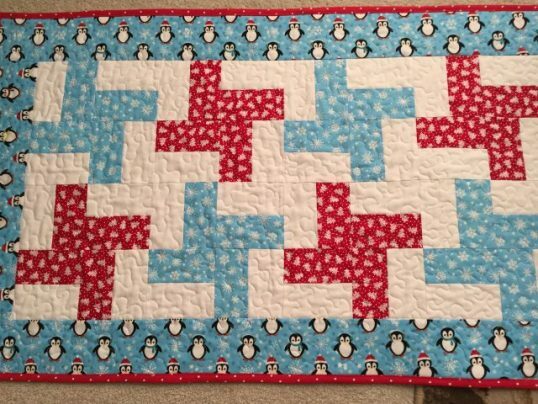 My Sewful Retirement shared some really fun table runners! I love using table runners to accent my home and I love all the one's that she shared! Stop by her blog for all the details! Thank you for featuring Kite Flight this week!